What Does Khalid Kidwai mean? There is (sic), of late, there have been reports of the Nicobar, and the Andaman Islands in the Bay of Bengal, being developed as bases, potentially as strategic bases … if those bases are not covered then inadvertently Pakistan will be allowing, so to say, a second strike capability to India within its land borders ... it is now a comprehensive coverage of any particular land area that India might think of putting its weapons. Khalid Kidwai, former head of Strategic Plans Division (SPD), Pakistan Army, http://carnegieendowment.org/files/03-230315carnegieKIDWAI.pdf(p. 10). Even though the second incumbent following Khalid Kidwai’s departure is now in the chair that Kidwai held for over a decade in Pakistan’s National Command Authority, he is not quite history yet. Kidwai acquired early notoriety for little fault of his. During the Operation Parakram period, in an interview to a couple of researchers from an Italian think tank, Kidwai had given out the broad outlines of Pakistani thinking on use of nuclear weapons. He had indicated that first use was possible and had given out Pakistani thresholds or redlines. Of the four parameters – territorial, attritional, economic and stability – he had used the term ‘large’ setbacks with three. This meant only if Pakistan lost large amount of territory or suffered large attrition to its forces or was destabilized considerably, either socially or economically, would it contemplate nuclear resort. Contrary to some Indian commentary on Pakistani redlines this exposition by Kidwai in a way set the Pakistani threshold reasonably high. The influence of Kidwai’s use of the term ‘large’ was such that on redeployment, India figured that the window for conventional operations existed below the nuclear level. This energized its formulation of what was colloquially called ‘cold start’ doctrine and which has now come to be termed the ‘proactive’ doctrine. Kidwai, in his latest statement, has attempted to link the evolution of Pakistan’s nuclear doctrine and arsenal to India’s nuclear doctrine. 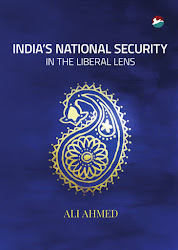 In the main his thesis is that, whereas Pakistan originally had minimum credible deterrence as its nuclear doctrine, it has since shifted to full-spectrum deterrence. The implication of the former is that the arsenal is small and is largely for deterrence based on a city-busting capability. This explains Kidwai’s high threshold since counter-value targeting would require fairly high degree of provocation, such as ‘large’ loss of territory etc. Kidwai appears to suggest that, in light of the window of conventional opportunity India espied, Pakistan had to rethink its deterrence. As it is Pakistan, by not acceding to No First Use, was already subscribing to a different notion of nuclear deterrence than India. Whereas to India nuclear weapons deterred nuclear weapons and not war itself, to Pakistan nuclear deterrence was, as with the NATO in the Cold War, to extend to cover deterrence of conventional attack also. Therefore, to stymie India’s move away from deep battle by strike corps to shallow nuclear threshold cognizant operations by Integrated Battle Groups, Pakistan was forced to go in for tactical nuclear weapons (TNW). Kidwai goes on to challenge India’s declaratory nuclear doctrine that requires a strategic, presumably counter-value, response to any sort of nuclear first use by an adversary on it or on its troops anywhere. He seems to be arguing against a position taken by some in India that there is nothing called TNW: all nuclear weapons are strategic. This echoes the very first debate regarding nuclear weapons, whether they are a wholly different category of weapons or are they just another weapon, if of a higher order of magnitude. This doctrinal interaction implies that if Pakistan initiates a TNW, India would be relieved of its NFU and would be liable to strike back to inflict punitive nuclear damage of unacceptable proportions. Therefore, if Pakistan was to contemplate using TNW, as evidently it does, it would require first catering for India’s strike back. This can best be by deterrence, failing which an ability for counter strike is thought necessary. Indeed the latter enables the former. 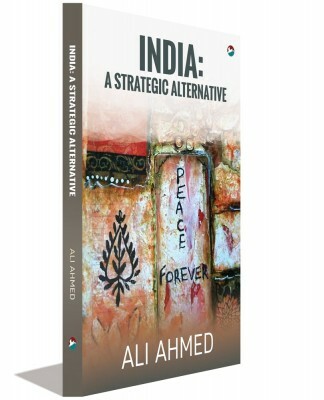 An ability to degrade India’s arsenal is necessary to assure India that in case it was to strike back with its declared levels of nuclear violence, then Pakistan not only has the ability to hit back in kind but also to degrade India’s ability to continue in the exchange(s). This, in Pakistan’s thinking, would deter India from carrying through with its doctrinal promise. This would then incentivize Indian change of thinking in favour of TNW use to counter Pakistani introduction of TNW into the conflict. While making for a nuclear conflict it still had the potential of preserving Pakistan as a state and society since TNW exchange(s) would be at the lower end of the nuclear ladder. Militarily, Pakistan would have checked India’s conventional operations by using TNW but politically also would have brought down international pressure for conflict termination. Pakistan would thus be able to survive a nuclear war of its own making and its army would have a rationale to stay atop its internal power structure claiming to have won, or at least not lost, a nuclear war. Kidwai, explaining the range of the Shaheen III set at 2750km, seems to suggest that India’s declaratory doctrine of ‘massive’ nuclear retaliation entails Pakistan’s placing the entire Indian landmass and now its island territories under Pakistani ballistic missile coverage. To recapitulate his phrasing: “Pakistan will be allowing, so to say, a second strike capability (italics added)to India within its land borders … (and) any particular land area that India might think of putting its weapons.” The question is why does Khalid Kidwai, who has headed a nuclear war-making machine and presumably aware of nuclear theory, wish to deny India a second strike capability. The first destabilization connotation is that intent to deny second strike capability to an adversary is suggestive of an attempt to gain first strike advantage. It is unlikely that Pakistan can entertain any such hopes in light of India’s large and variegated arsenal, presumably ably spirited away by its Strategic Force Command. Escalation will likely result in case India perceives Pakistan is readying to hit its missile sites intended for furnishing India its second strike capability. India not wanting to ‘lose them’, may likely ‘use them’ and earlier than it might have planned for. Second, Kidwai rocks theory by not ‘allowing’ – a hubris laden word - India a second strike capability. It is often said that the Cold War remained ‘cold’ on account of mutual deterrence termed MAD (mutually assured destruction). Under the circumstance, a side would only go ‘firstest with the mostest’ (to paraphrase General Patton from a different context), if it believes that it can wrest a first strike advantage. MAD expelled any such notions; resulting in stability. 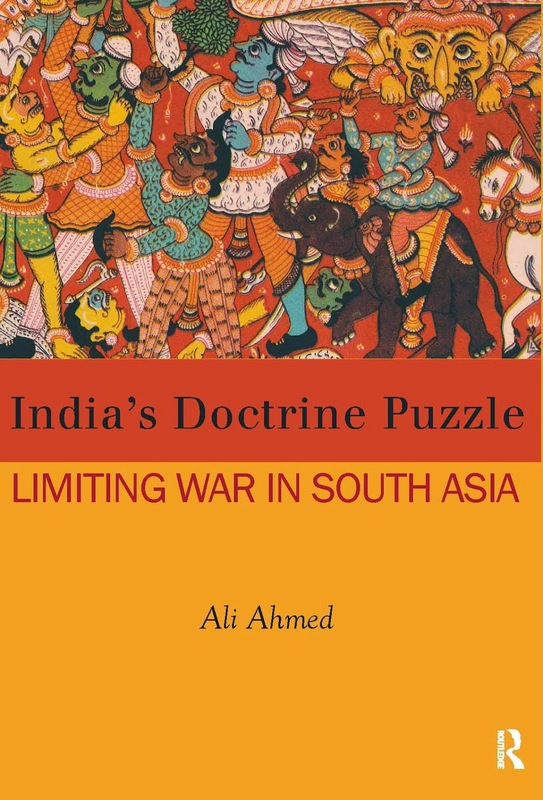 Arguably, South Asia is in the MAD era with both states with both arsenals in lower three digits. Deterrence stability can be arrived at between the two states. Hopefully, Kidwai’s successor, Mazhar Jamil, knows better.